High-priced, well-packaged pickup trucks are ways manufacturers make their money. We buy them up at an accelerated pace. But with Ram’s top-of-the-line Limited trim, if you weren’t a fan of all the chrome accents, you were out of luck. Not any longer. 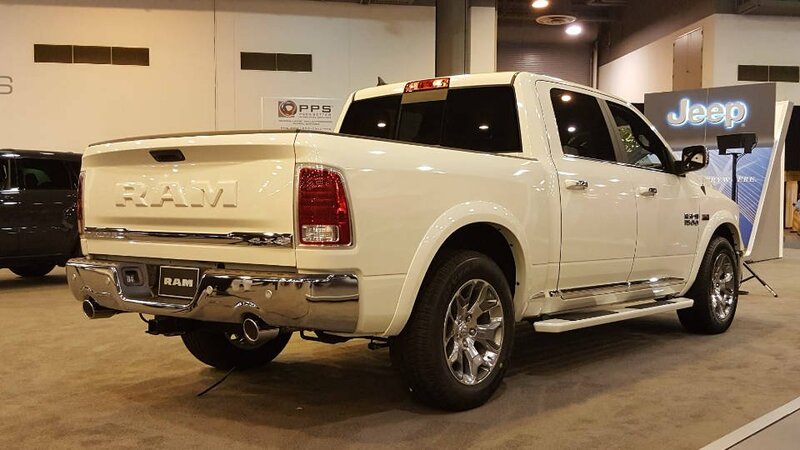 At the 2017 Houston Auto Show, Ram revealed a monochromatic upgrade package that changes the rear RAM on the tailgate to the body color and adds body-colored running boards. An appearance package isn’t necessarily news in and of itself, but the changes to the Ram Limited – 1500, 2500, and 3500 – really do add to the appeal of the trucks. This is especially true if you weren’t a fan of the chrome RAM lettering on the tailgate. 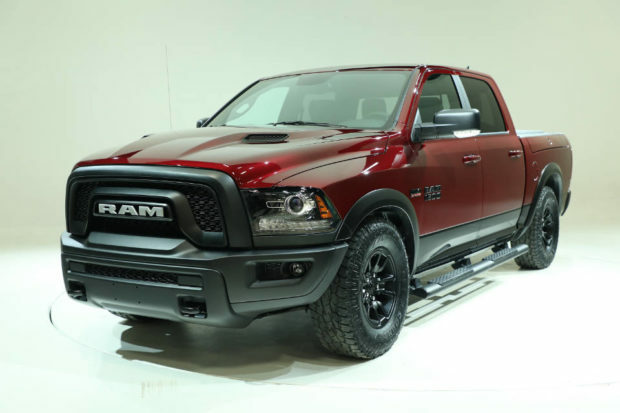 The beauty of the body-colored RAM letters and the body-colored running boards is that it’s only a $125 option when ordered separately from the monochromatic package. Also announced at Houston is a new, more sophisticated color for the Ram 1500 Rebel. Delmonico Red is a much darker tint of red, and is an option for those who might not want a bright red or other color on their truck. The dark metallic Delmonico Red also brings with it a black and grey interior with black anodized bezels on places like the doors and the instrument cluster. Light slate grey accent stitching lines the black leather seats. Finally, the Delmonico Red can be ordered on either a regular Rebel or with the Rebel Black appearance package. All of these trucks will be in dealerships in May.